water, tomato puree (water, tomato paste), diced tomatoes (diced tomatoes, tomato juice, citric acid, calcium chloride), cream, modified food starch, contains 2% or less of: onions, red bell peppers, sugar, roasted garlic (garlic, canola oil), parmesan cheese (cultured part-skim milk, salt, enzymes), spices, salt, garlic, olive oil, lactic acid, xanthan gum, gum arabic, natural flavors. In Italy, different flavors and textures are combined to create unique recipes. 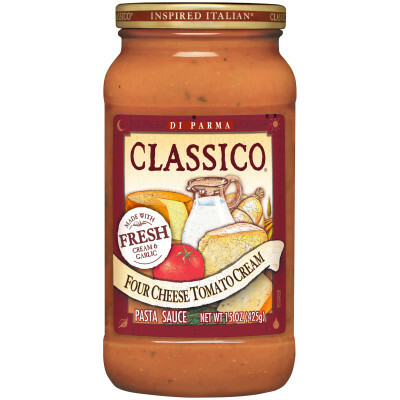 Here the best qualities of Alfredo sauce, fresh cream and aged Parmesan cheese, are combined with the light and flavorful taste of Tomato sauce, red-ripe tomatoes and fresh garlic, to create the Tomato Cream Collection. Bought this but have not tried it yet. I'm looking for a good recipe for this on your site but finding it tedious and time consuming. Can you please put a link on the product page for recipes using this particular product? Would greatly appreciate it! I'm GF, Soy-free, Corn-free, Wheat-free and this product fits the bill- thanks! I'm not a buyer of canned goods as a rule, but this appealed to me. Wow, I was not disappointed. We expected to doctor it up with more garlic or other additives, but we left it alone in its state of awesomeness. We'll be buying this again! I really liked this sauce. 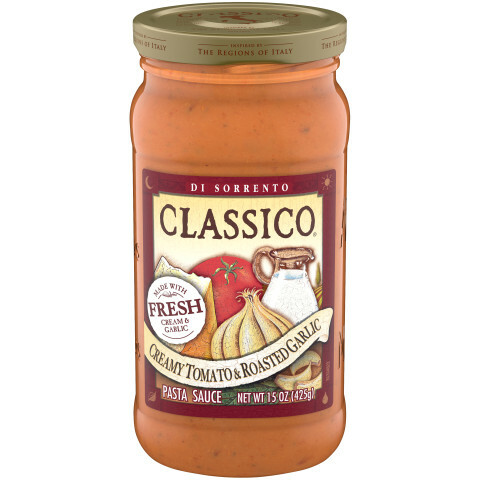 I used it with shell pasta, grilled chicken and mozzarella cheese.